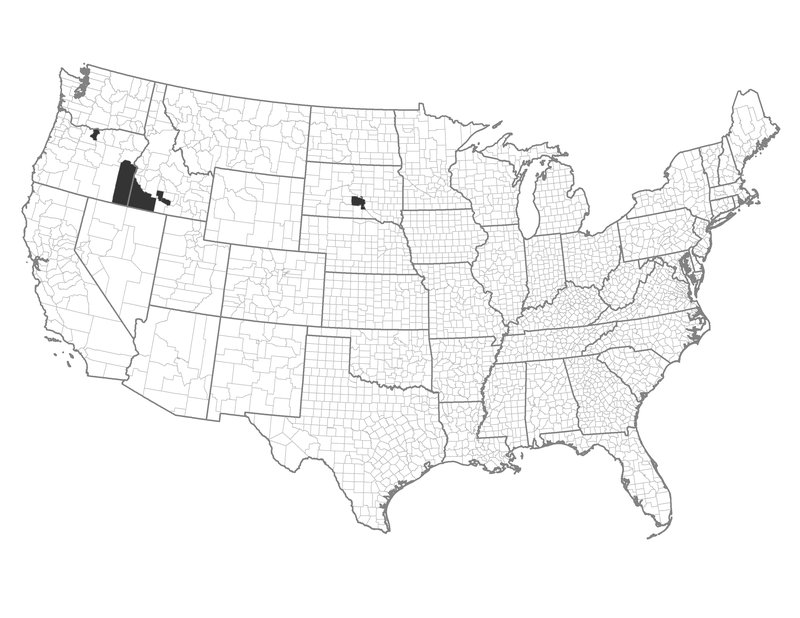 There are very few counties in this category and they are located in the western interior rangeland of southern Idaho and eastern Oregon, as well as South Dakota. Most counties have experienced repeated large fires. Example of a Typical County — Malheur County, Oregon: This southeastern Oregon county has experienced regular large fires. It contains a large amount of BLM lands. Counties in this combo have high risk to large wildfires, but some have more potential than others for resource benefits. These counties may want to consider using prescribed fire, grazing and mowing as their primary fuel management options. The application of fuel treatments could work on a seasonal basis.